Prep time: 45 minutes, plus one hour to refrigerate the dough before baking. Overnight is even better. Beat the butter in a mixer on medium high for 2-3 minutes until fluffy and filled with air. Add sugars. Scrape sides of bowl to make sure mixture is well-combined. Add eggs and vanilla, and combine with sugar and butter. Separately, mix flours with baking powder, baking soda and cinnamon. 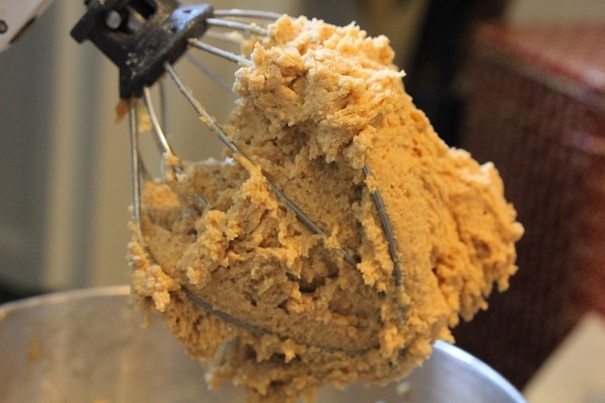 With mixer on low, add flour mixture until just incorporated – do not overmix. Fold in oats. Cover dough with plastic wrap and refrigerate for an hour. Preheat oven to 375 degrees. Line two baking sheets with Silpat baking pads. Form the dough into three-inch sized balls and place well apart on the baking pads. 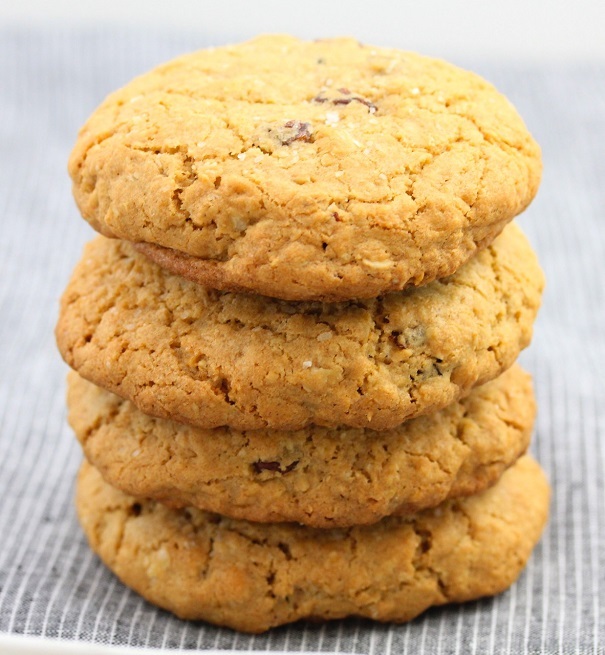 Sprinkle a generous pinch of sea salt on top of each cookie. 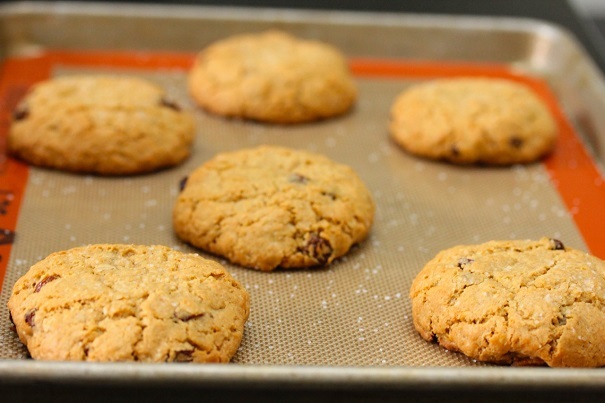 Bake one sheet of cookies at a time for 20 minutes. Cookies should begin to turn golden, but they should be soft inside. 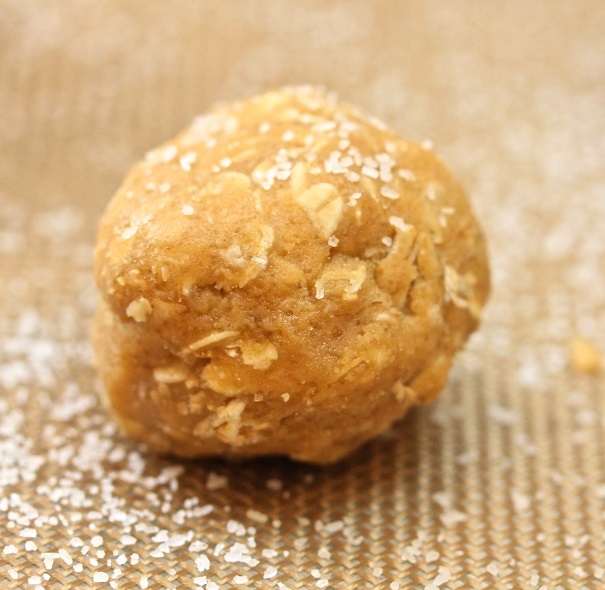 Allow to cool before serving – they will be soft and crumbly until they cool completely.